Home / Viral / Canadian Political Analyst: "It's about time to sue Rappler and other corporate mainstream medias"
Canadian Political Analyst: "It's about time to sue Rappler and other corporate mainstream medias"
It's about time to sue Rappler and other corporate mainstream medias. The main stream media has great responsibility to inform the public of true news, however when their political and business interest no longer reflect the business and political interest of the masses but the few, then you have a real problem in your hand. Rappler has been fabricating news for a long time and has lost the journalistic integrity it should have as a news agency. I am not a Filipino and as a Canadian Political Scientist express my observations. 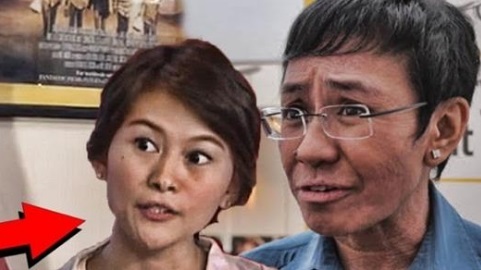 I have observed that Rappler with vested interest in peace and security in the Philippines and Southeast lack journalistic integrity and honesty, and has been contributing to lawlessness and criminality elements in the Philippines through the way they portray the news. They attack anyone that expose the truth about the realities and facts, and label them as trolls to discredit them and push forward with their own political and business agenda. They do character assassination, fabricate news against any concerned netizens who expose the facts. They use their corporate media power they have by using their medium to manipulate the public opinion in order to keep their own audience and control the global and the Filipino audience - in a sense they abuse the power that is invested in them. The corporate media must be kept in check and held accountable for any false and fabricated news they promote or have promoted in the past. Due to the power they have they can influence the direction of politics and economy - they can influence peace and wars, and they can bring in anarchy or bring in law and order. The corporate mainstream media and journalists are licensed and as licensed professionals they have responsibilities and are legally binded to expose the truth and not fabricate lies - so just like any licensed person being kept responsible for misconducts and/or abuse, they too need to be held accountable and reprimanded appropriately, and if that means them to be sued and/or jailed and/or their license revoked, then they should abide by that judgment. It is obvious that Rappler CEO and the journalist working for her are up to no good. It is the responsibility of the Filipinos to take charge of this and make sure that appropriate legal action is taken against them.